Late in the eighties Bernd Ogrodnik received his first large assignment for the screen, when he was asked to design, build and control the in Iceland legendary Paper Peter. Focusing on Theater in the following years he returned to the movies in 2003, as the Puppet Master for the epic Marionette-movie Strings. The techniques developed for, and the experience gained from these and other TV related projects have led Worlds of Puppets and his trusted associates to engage in yet another ground braking adventure. In the summer of 2007 Bernd and Company produced a test film with marionettes filmed exclusively outside in Icelandic nature. The results were stunning and the producing process for the upcoming movie ”NOMI” is on the working table. After the initial success of the “Paper Peter” TV-series, additional material was filmed to complete a full length feature movie. “The Adventures of Paper Peter” was released in 1990. In 2003 Bernd was asked to become the Chief Puppeter for the movie epic “Strings”, by Danish director Anders Klarund. 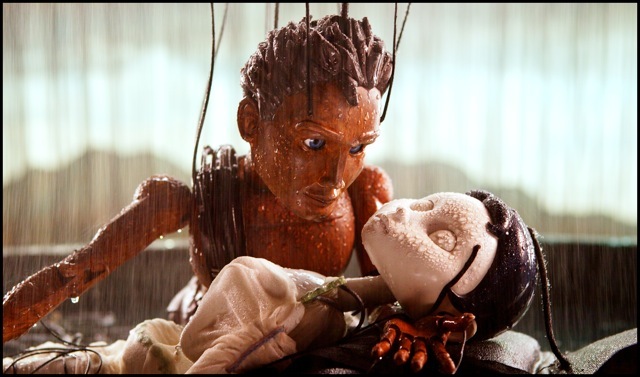 Produced in Denmark with an international team of specialists, “Strings” became a landmark in the world of Puppet movies, using marionettes in a scope never before attempted. 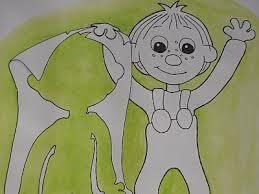 Ogrodnik managed to design a kind of Puppet with a body and control technique that enabled the puppets to do all the unusual actions asked for in the script. The elaborate marionettes were diving into water, climbing mountains, and waging fierce battles. After designing the technical aspect of the puppets, and supervising the building process, he then trained and supervised a team of fifteen puppeteers from all around the world in letting the puppets move through the elaborate sets, as if they had a life of their own. Many years in the making the movie won accolades especially from the Puppetry and Art community. Among other awards it received the….”Best European Phantasy Film award”. In the summer of 2007, Bernd assembled a small team of miracle workers to shoot a test film for a story he started writing over twenty years ago. 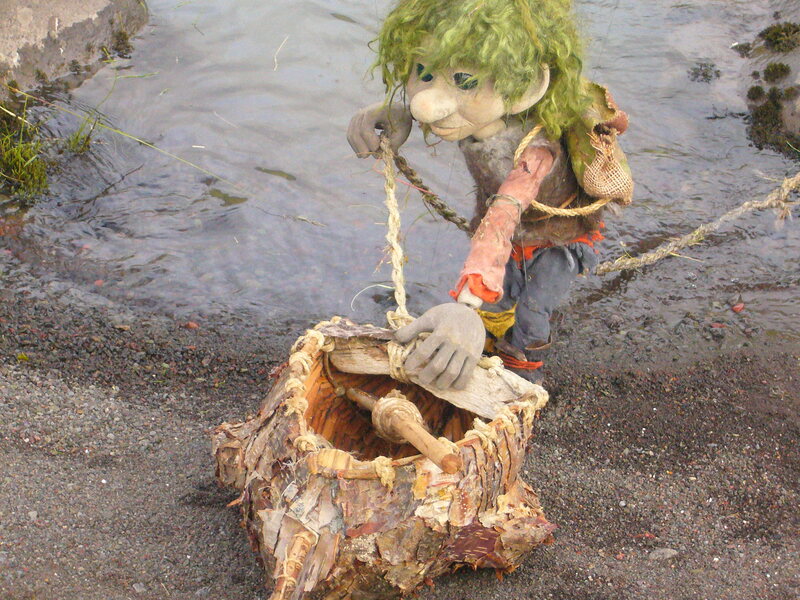 Filmed exclusively outside in the wonders of Icelandic nature, the story of “NOMI” once again asks for innovations and wonderful explorations in the field of Puppetry. First some test puppets were built. They had to look like they belonged to nature, and move in the rugged terrain as if they had no strings attached. Then bridges and secure rigging systems where successfully tested, so the Puppeteers were able to control the Marionettes over creeks and steep canyons. The results were stunning, and now the producing process is in full swing. Over the next few years Figura and Associates will devote themselves to bringing to the screen the first Marionette movie ever filmed exclusively outside in nature.